Patti LaBelle is making an encore. Her sweet potato pie was a smash-hit last year for Walmart (WMT), her exclusive retailer. Now she's expanding her line to include five new desserts: berry cobbler, apple cobbler, peach cobbler, apple pecan cake and sweet potato loaf. LaBelle's sweet potato pie hit stores last August, but it wasn't a huge success until Youtube star James Wright Chanel sang its praises in a expletive-laced video that went viral. "I want to taste Patti live," said Wright, breaking into song as soon as he dug in. "You turn into Patti after eating this! Go to Walmart and buy the Patti LaBelle pie." After that video came out in November, LaBelle's sweet potato pie sold like hot cakes. "We were selling one per second for a while after his video went live," said Walmart spokesman John Forrest Ales. "He posted that video and we sold out and had to quickly make more, a million pounds." 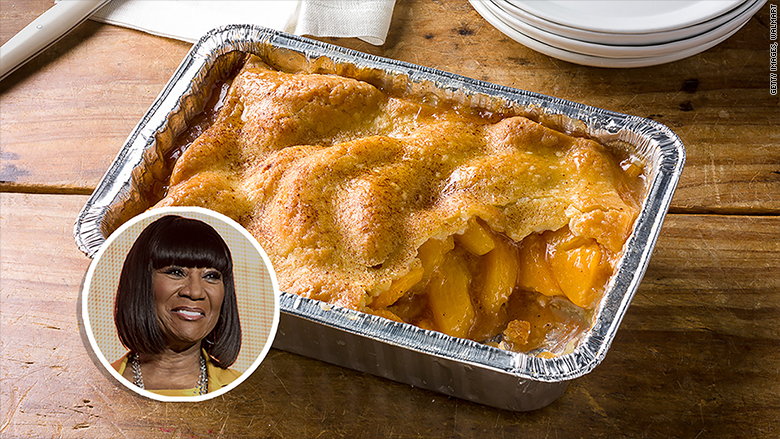 Walmart launched Patti LaBelle peach cobbler and four other new desserts, capitalizing on her viral success with sweet potato pie. And it wasn't just a Thanksgiving thing. 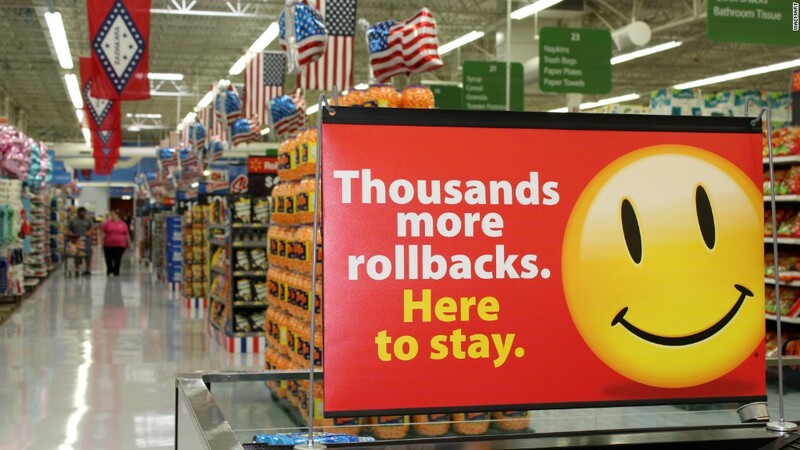 Even after the holidays the pies were still selling, so Walmart has been churning them out year round even though they were originally meant to be a seasonal item. "It's pretty insane that it's August and people are still buying the sweet potato pie," said Ales. LaBelle fans may want to brace themselves for a bit of sticker shock, though. While the sweet potato pie costs $3.98, the cobblers are $6.98, the apple pecan cake costs $9.98. LaBelle was not immediately available for comment.